A bus company was ordered to pay $9.5 million to the estate of a woman who was struck and killed by a bus. The woman was a surgical nurse who was walking to work when she was hit. The Atlantic Express Transportation failed to check the background of a driver that fatally killed the woman. He has been convicted 31 times, lived in and out of homelessness and has a suspended driver’s license. Legal counsel on behalf of the victim explains that the man should have never been given privileges to drive the bus. The driver ran a red light and pinned the woman under the bus’ wheels. The 34-year-old woman, mother of two boys, died three months later of internal injuries, an infection from skin grafts, amputation of her right leg and surgeries. 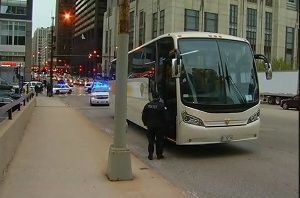 “The government, on a federal and state level, must further regulate private bus companies so the public is protected against companies hiring drivers without a proper background check, without appropriate training and qualifications,” Attorney on behalf of the victim’s estate said. Davis Law Group sends sincere condolences to the friends and family of the victim.